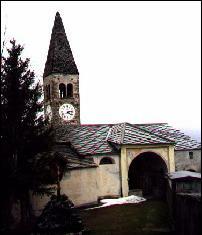 Elva's parish church is, historically and artistically speaking, the most important building in the town. It's dedicated to the worship of Saint Mary Assunta. The date of its construction is quite obscure, anyway the first news about its existence date from 1355, when the parish was moved from S.Bernardo to this building. Starting from an ancient original construction, the church evolved into its actual aspect, through various additions and modifications. The porch of the church shows carved decorations and, over them, a painting dating back to 1400. 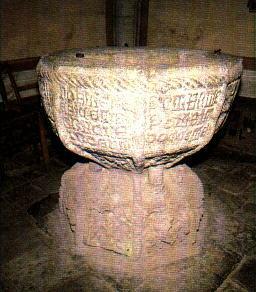 Inside we find the baptismal fountain (end of XIV century, beginning of XV), carved in stone, and an "acqua santiera" (used to carry holy water) made by the Zebreri brothers of S.Damiano Macra, of 1463. Through the triumphal arch, dating from the end of XIV century, beginning of XV too, we get to the presbiterio. 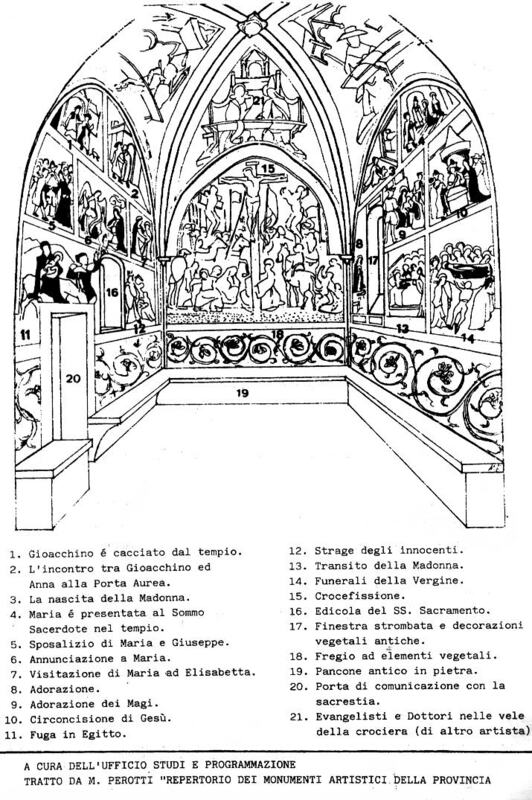 Its walls are completely frescoed. 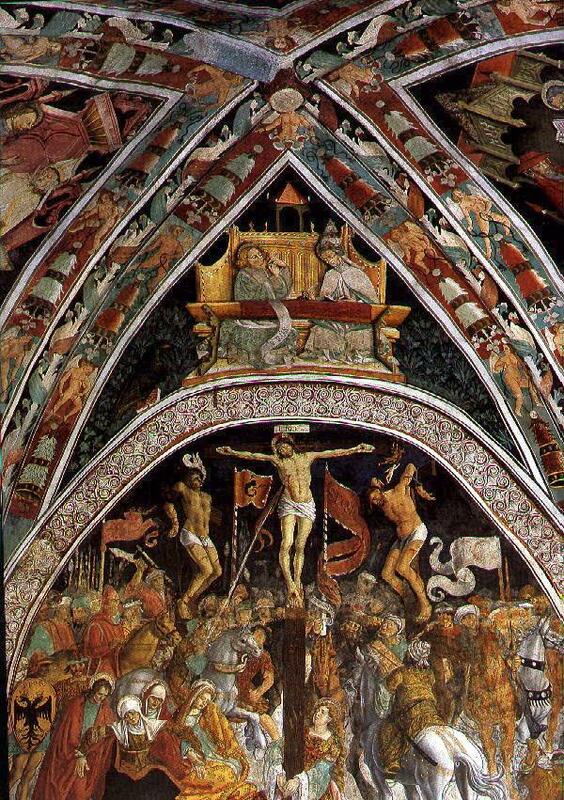 Among the frescos shines the one dedicated to crucefixion, made in 1493. This masterpiece is ascribed to a mysterious artist known as "Elva's Master Painter", who worked in the Marquisade of Saluzzo. For further information on this church and its artistic tresure, we invite you to read "Elva un paese che era" by Ettore Dao.